With a strong background in architecture, construction and the wine industry, Kathleen Valentini, owner of Valentini's Custom Wine Cellars, is a woman with great passion and knowledge of wine, cellar design/construction, and proper storage. Valentini's Custom Wine Cellars is a highly experienced and nationally recognized, wine cellar design-build & consulting firm established in 1996. 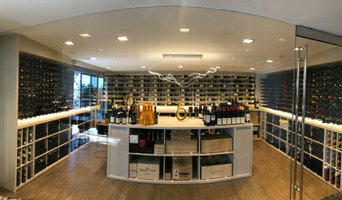 Working directly with architects, custom builders, interior designers and homeowners, we are dedicated to bringing the very best products available to wine lovers in the form of excellent and unique cellar designs, refrigeration, installations and cellar consulting. We offer complete project management from concept to completion with customized designs and quality installations by skilled craftsmen. Whether your wine cellar is designed for a custom home, or part of a remodel, we are committed to proper room conversation and construction with great attention to climate control, proper temperature and humidity. We can turn a spare room, including a bedroom, a section of a large garage or den into a beautiful and functional wine cellar, a great option for the empty nesters who have more space. We offer unparalleled experience in all aspects of cellar design and construction and a commitment to customer satisfaction, we customize our recommendations and offerings to each clients needs. Let us be a part of your cellar design and build process. Contact us to schedule an initial consultation. Vinotemp International, a leader in the wine storage industry, has been building premium wine cabinets for over 25 years. Vinotemp is a full-service manufacturer of custom wood wine cabinets and racking, Wine-Mate cooling systems, and a distributor of quality metal wine cellars. We specialize in all aspects of the wine storage industry with an emphasis on customization. Since 1985, we have sold over 250,000 wine cellars in the U.S. and overseas. For a free quote, do not hesitate to reach out to us-we'd love to hear from you! 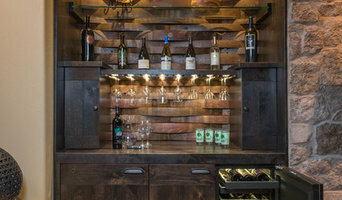 LA's Wine Cellar Design & Manufacturer || Best of Houzz '12-'19! Wine Cellars, Residential & Commercial. Master wine cellar builders of custom wine cellars, commercial racking and wine refrigeration design solutions, see our designs: get a free quote today! 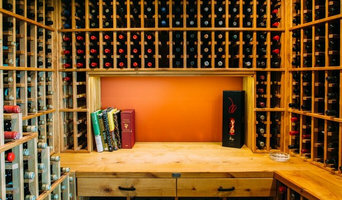 Custom wine cellars serving the Southern California area. Your Santa Monica, CA wine cellar professional also will oversee the preparation of the target space (moisture barriers, ventilation and so forth) as well as the construction process. Wine cellar builders select and install the necessary equipment and surfaces, from racks and cabinetry to flooring and lighting, and often handle special security systems to protect a homeowner’s collection.